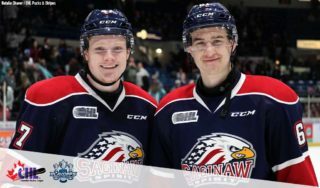 Toronto, ON – The Ontario Hockey League today announced the Top OHL Performers of the Month for regular season games played in March, 2019, including Kitchener Rangers forward Greg Meireles, London Knights defenceman Evan Bouchard and Saginaw Spirit teammates Cole Perfetti and Ivan Prosvetov. 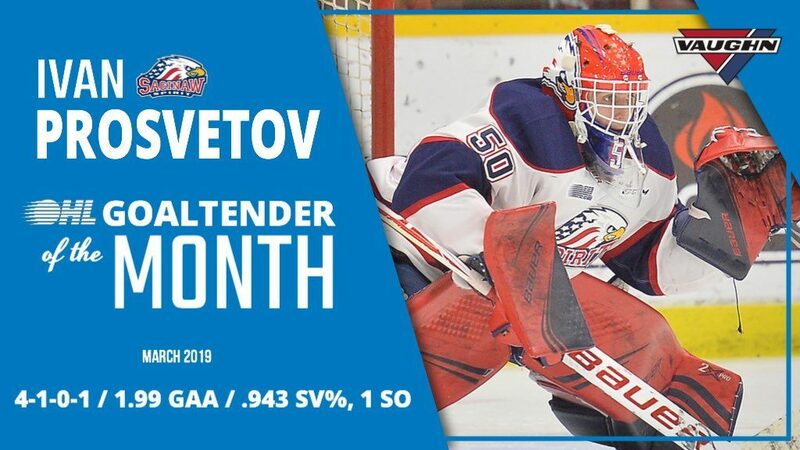 Arizona Coyotes prospect Ivan Prosvetov is the Vaughn OHL Goaltender of the Month for March, backstopping his team to a West Division title. Prosvetov played to a 4-1-0-1 record with a 1.99 goals-against average, .943 save percentage and one shutout over six games, turning aside 197 shots in the process. He started the month with four consecutive wins as part of a larger eight-game trend, posting his fourth shutout of the season with a 27-save effort against the Peterborough Petes on Mar. 3rd. 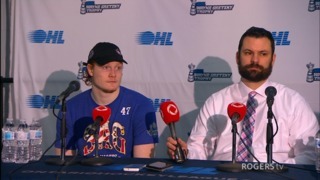 He earned second star honours, turning aside 47 of 48 shots in a 4-1 road win over the London Knights on Mar. 9th. Prosvetov turned aside 29 shots on Mar. 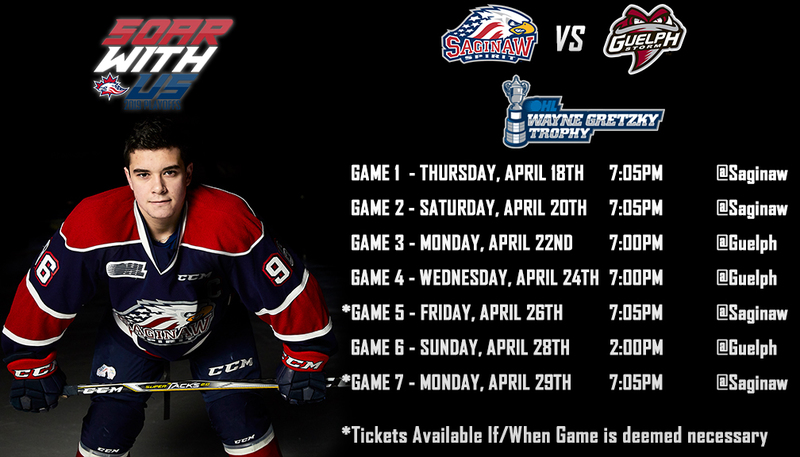 12th in Sarnia to backstop the Spirit to a franchise record 46th win and a club mark nine consecutive victories. He stopped 25 shots two nights later on Mar. 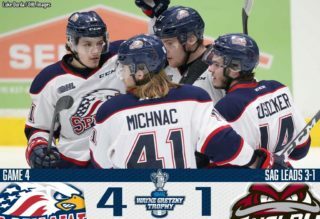 14th as the Spirit fell 2-1 in overtime to the Soo Greyhounds but locked down their first West Division title since 2011. A 20-year-old native of Moscow, Russia, Prosvetov played to an overall mark of 36-11-2-1 with a 2.94 goals-against average, .910 save percentage and four shutouts in his first OHL season. The 6-foot-5, 185Ib netminder owns a league-leading .924 save percentage since Jan. 1st, playing to a 19-5-1-1 mark in that span. Chosen with the 13th overall pick of the 2018 CHL Import Draft, Prosvetov was a fourth round (114th overall) pick of the Arizona Coyotes last summer.